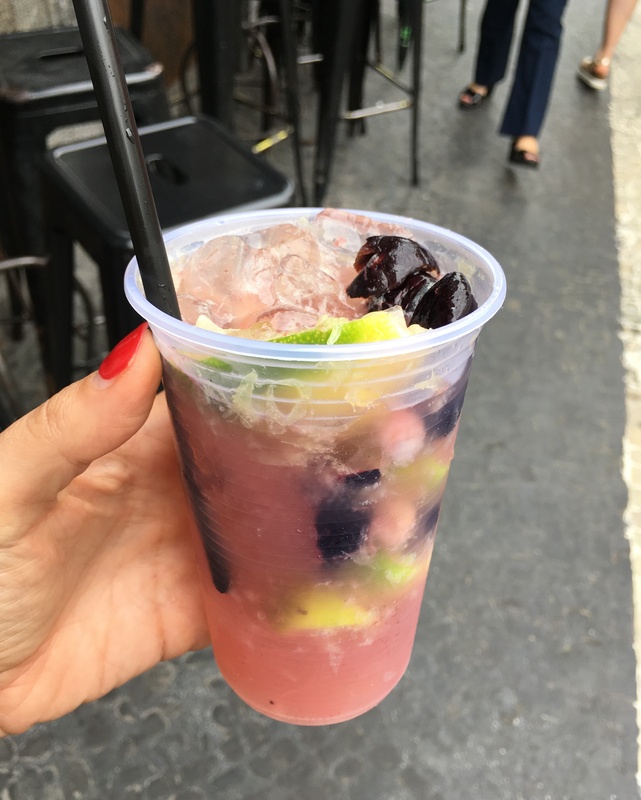 I’m not sure if it’s the samba or the caipirinhas but Brazil has always held an allure for me and I found the food scene intoxicating. This is hardly a definitive list, more a top 7 scenario – stay tuned for part 2. Did you know that Brazil has the largest Japanese population outside of Japan? So the ubiquity of sushi joints was not a surprise. 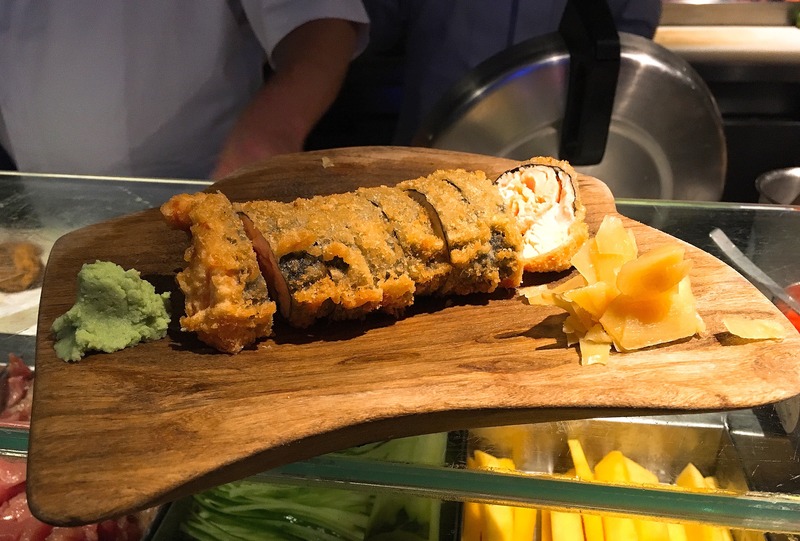 What was a surprise was the, how should I put it… originality of sushi the Brazilians have perfected. Would you like mango in your California roll? What about a strawberry and cream cheese hand roll? Deep fried sushi? All are in scope for the Brazilians. I’d been warned about a signature of Brazilian sushi, the Hot Philadelphia, so naturally had to try it. They start with salmon and rice in nori seaweed. What’s the big deal, right? Well then add cream cheese and deep fry the whole thing. In all fairness it actually tasted delicious, but any sushi connoisseur would surely be shaking their head. 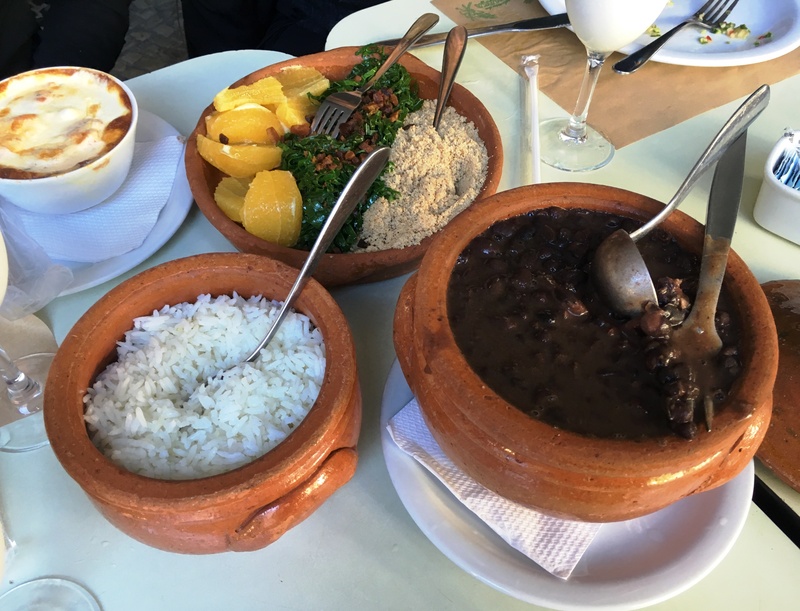 “Whatever you do DO NOT leave Rio without trying these” said my Brazilian friend Rodrigo. I am never one to ignore a local’s recommendation, particularly when it’s a variation on fish cakes. 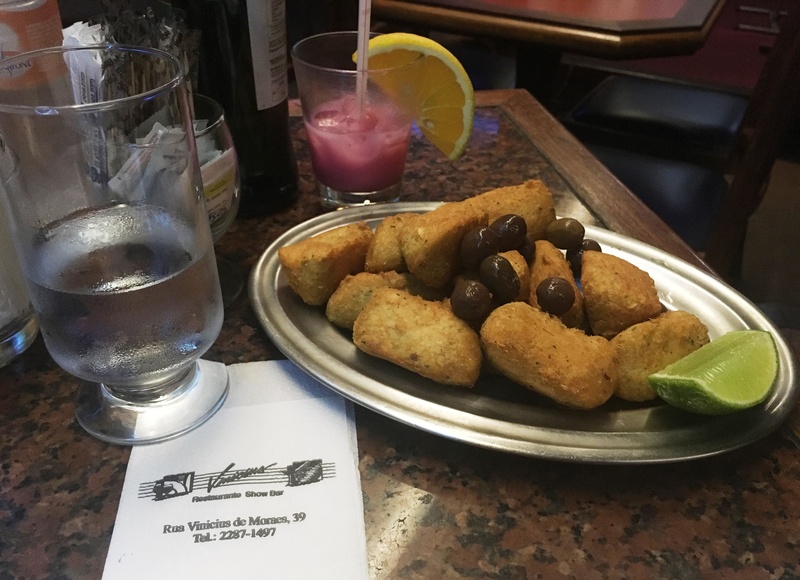 In his eyes these torpedo shaped patties made from bacalhau (dried and salted cod), potatoes, eggs, parsley and onion are the defining dish of Rio. I must concur he was right as I saw them on almost every table every time I went out to a boteco to drink. When in Rio I did as the Cariocas do so ordered them a number of times and they never disappointed. 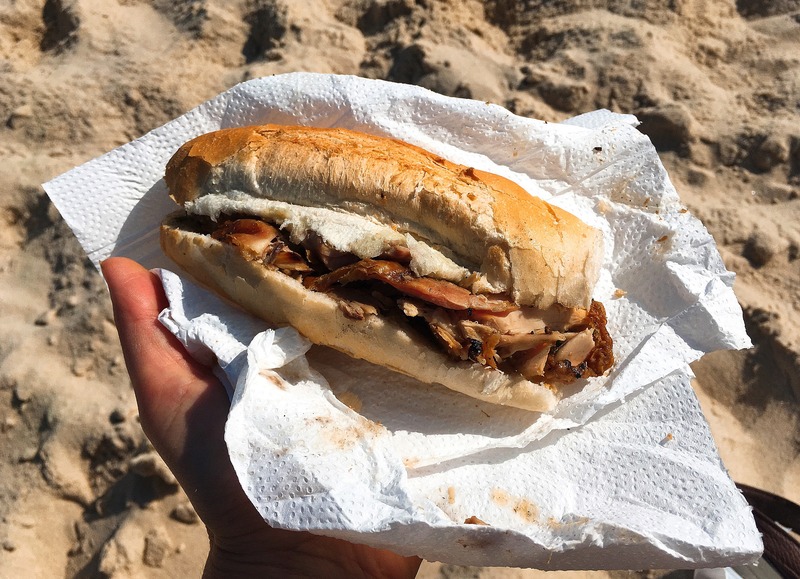 As Brazil’s national dish this is an obvious addition to the list but given its fame I was surprised at how elusive it was. Sure every buffet had a version (but by definition anything on a buffet table can only reach certain heights) and that was the first time I tried it, but I wanted to try it in its full glory with all the trimmings – and for that you have to track down certain restaurants and eat at certain times, namely Saturday or Sunday lunch. 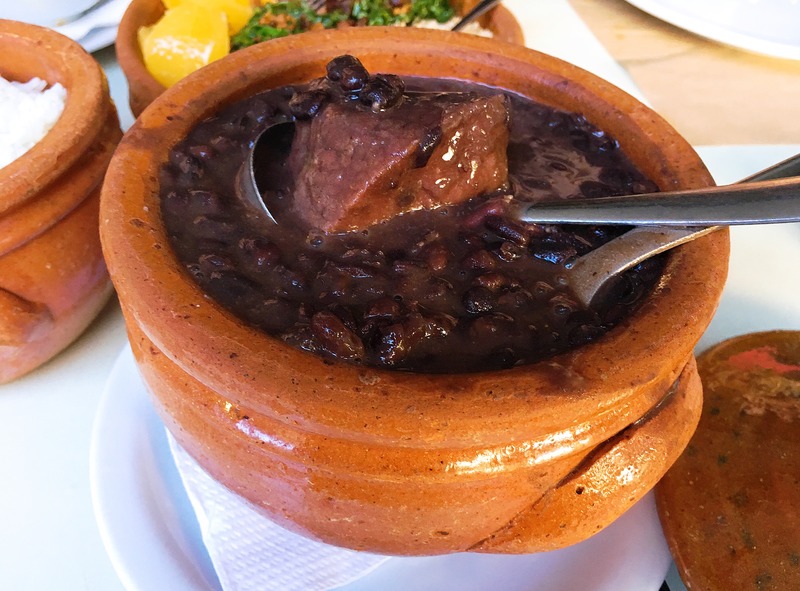 Feijoada is dish of slow cooked black beans stewed with a variety of meaty off cuts, ranging from salted pig’s ears to beef tongue. 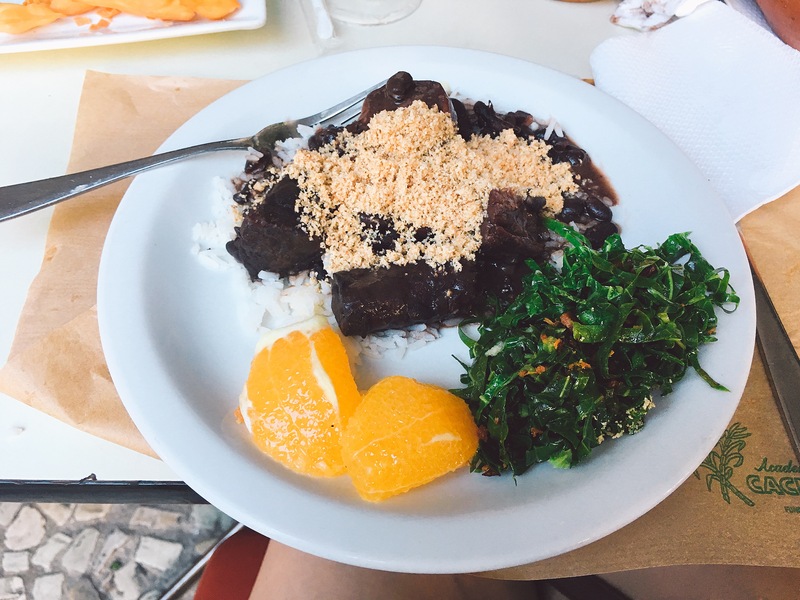 The traditional accompaniments are rice, farofa (toasted cassava flour), collared greens, bacon and orange to help cut through the richness of the stew. It’s an epic meal and pretty much all you’ll need to eat that day. 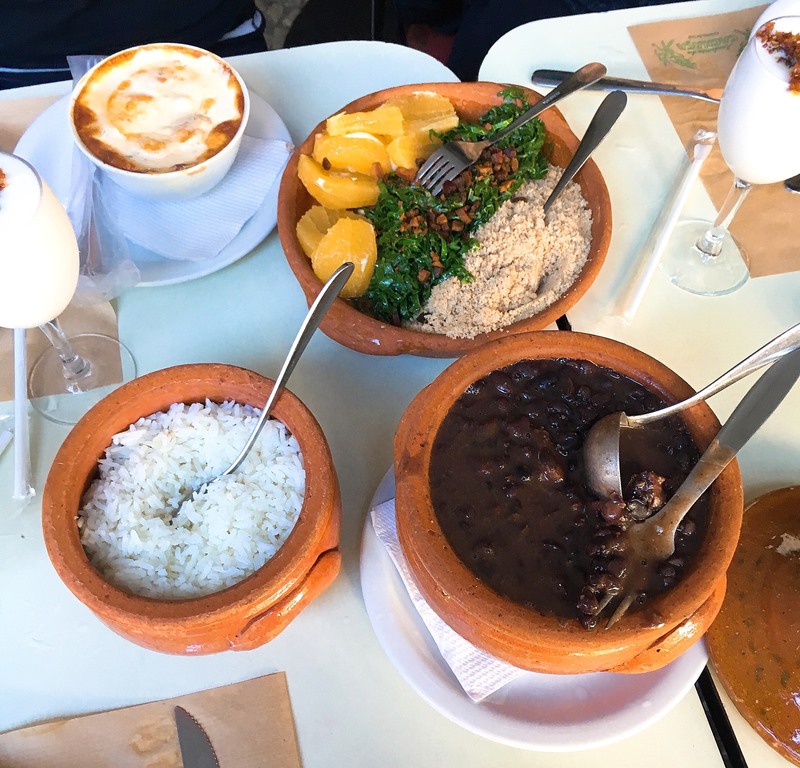 The iconic dish was created by the West African slaves brought to Brazil by the colonial Portuguese but is now considered a dish that feeds the soul of the whole Brazilian population. Just make sure you fast before you eat it. 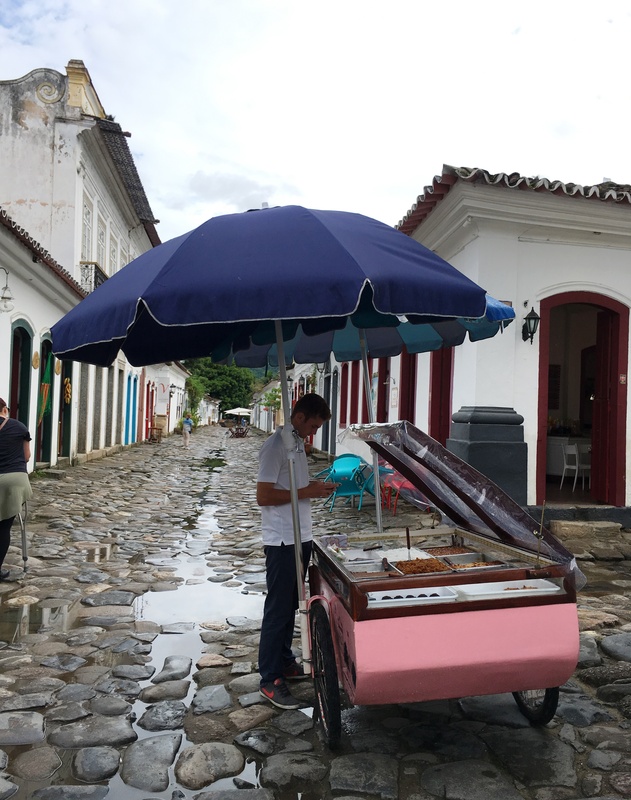 Paraty was a culinary awakening for me. 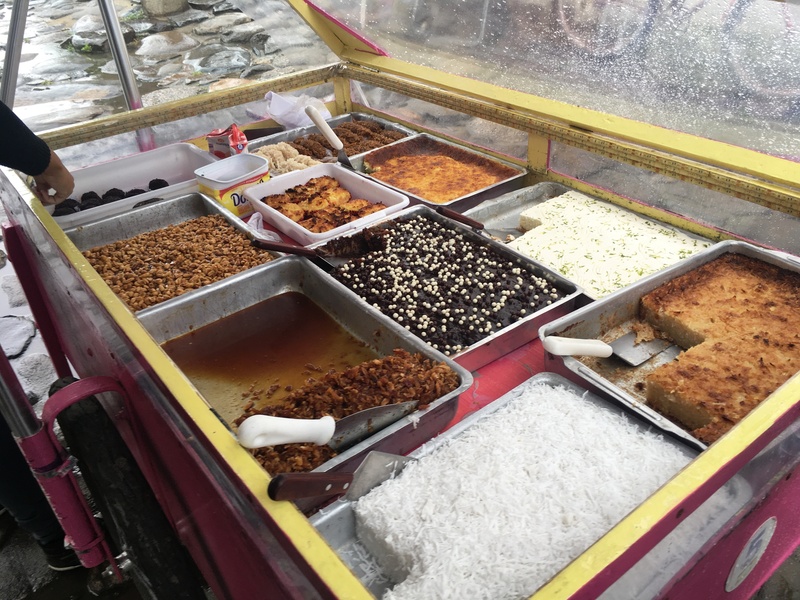 Not only is it where I took a fantastic cooking class with Brazilian’s answer to Nigella, it left me asking the question – “why doesn’t every town have a dessert trolley?” Despite it being a touch rainy in Paraty there were always half a dozen dessert trolleys parked on strategic corners of the old town’s cobbled streets – the hot pink trolleys were my favourite. Imagine a young child staring in wonderment at the variety of a Pick ‘n’ Mix and you can visualise my face. There were always a dozen or so sweet treats to choose from in a myriad of colours so narrowing it down was a challenge. 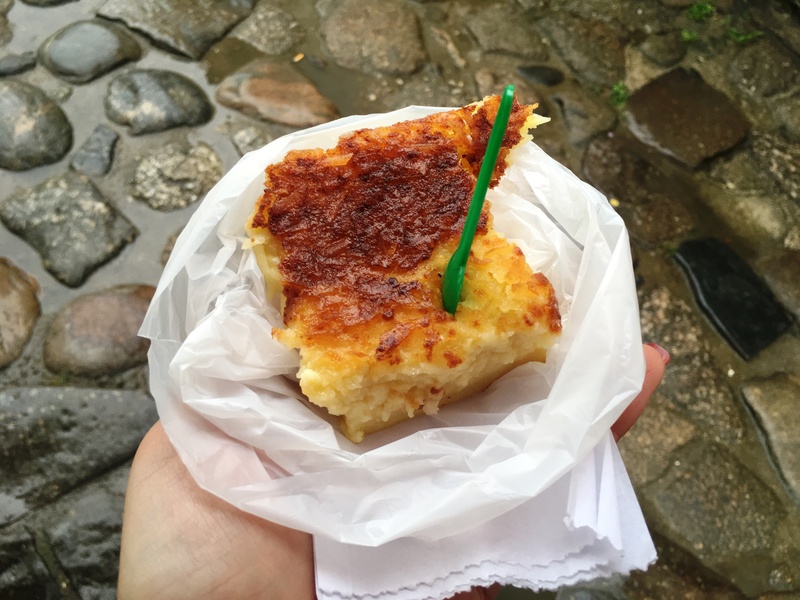 In two days I managed to try at least four things including the traditional Brazilian sweet brigadeiro and coconut cheesecake. Delicious. 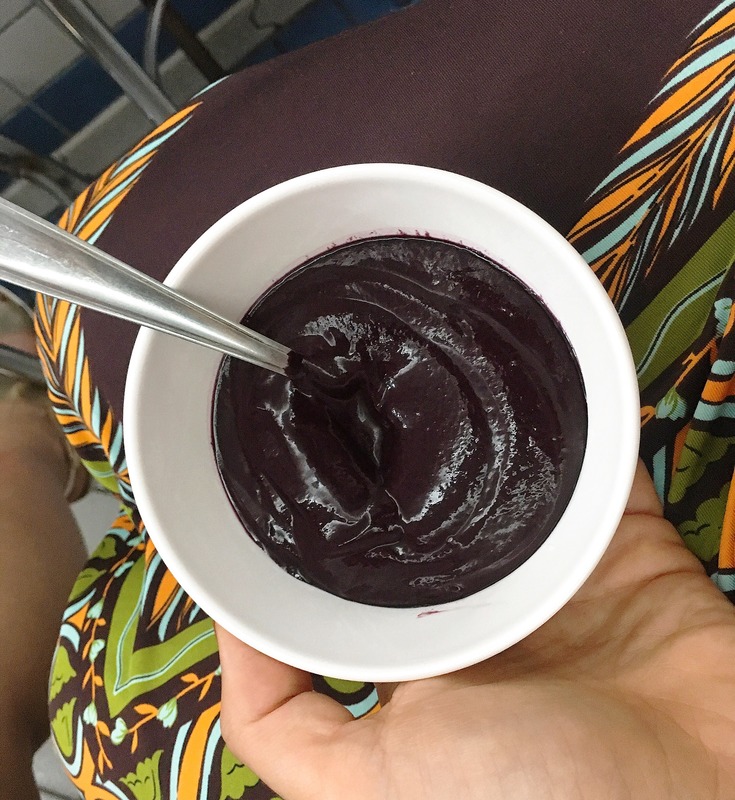 Possibly the most hyped up ingredient to come out of Brazil, açaí has taken on cult ‘superfood status’ due to its anti-oxidant properties and the number of vitamins packed into each small dark purple Amazonian fruit. While you need only take five steps in Sydney to bump into an açaí bowl, I was curious to try it in the traditional Northern Brazilian style, with far less sugar and a range of accoutrements beyond granola and fruit. 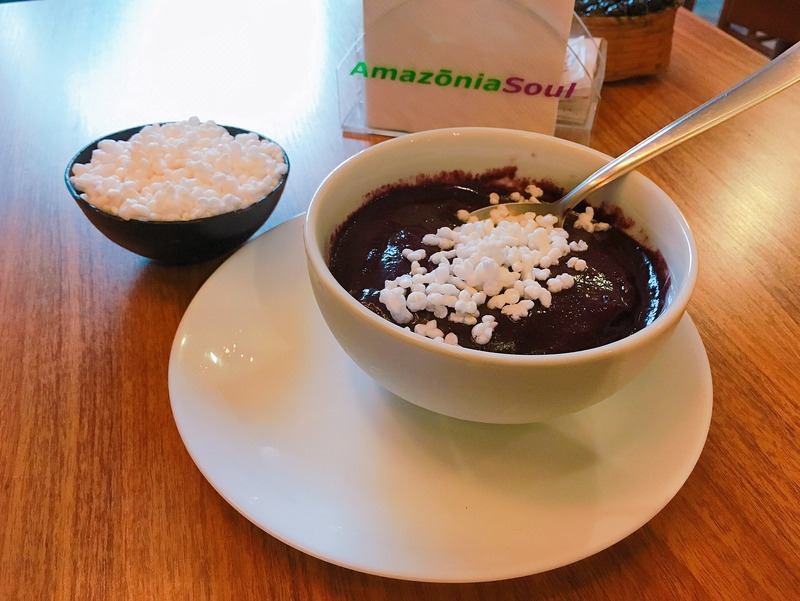 My favourite was at Rio’s Amazônia Soul, where it was only subtly sweet from natural sugars and worked well with tapioca balls for a texture kick. One thing I always do prior to a trip is research what Anthony Bourdain (RIP my friend) ate there for a guaranteed tasty experience. 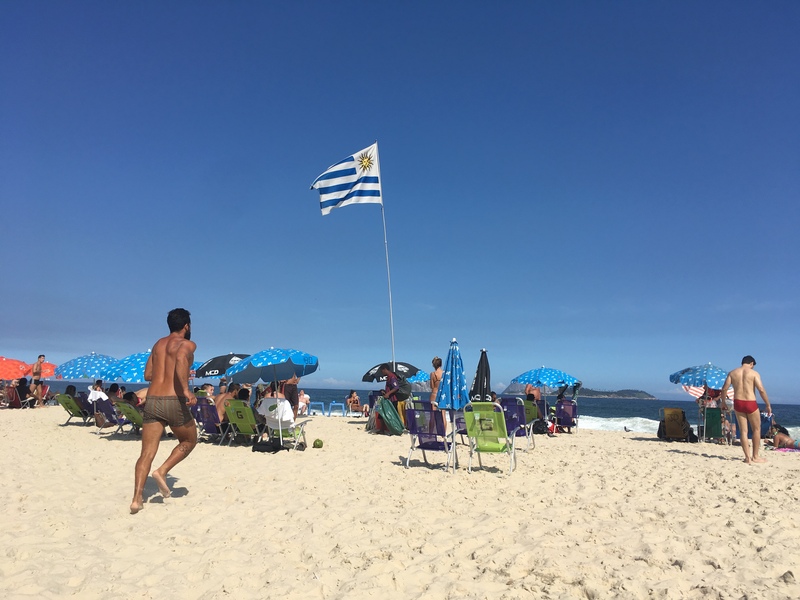 Tony’s go to in Rio was the Barraca do Uruguai on Ipanema Beach. 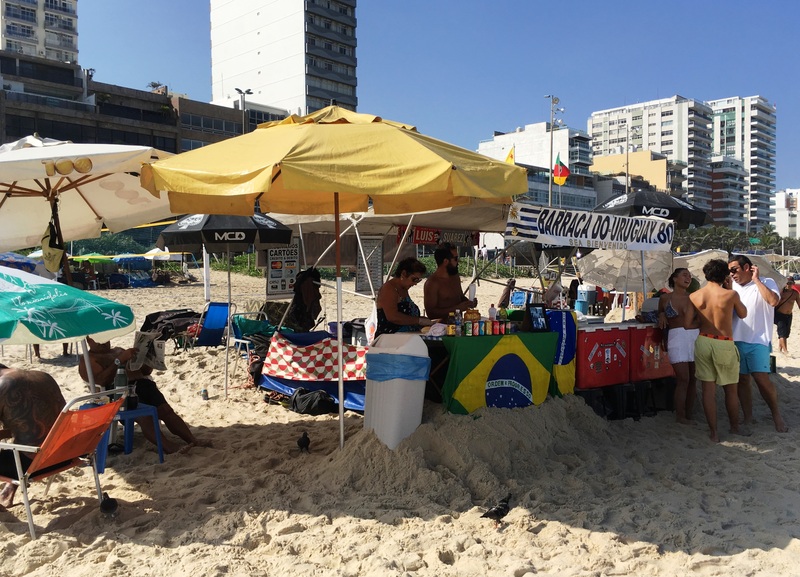 I knew it was tent #80 on Ipanema’s Posto 9 but the first time I went looking happened to be their day off so I wandered up and down the Posto very confused, trying to work out where the tent was hiding. Luckily I tried again a few days later and got to enjoy the drool worthy roasted chicken sandwich dripping with chimichurri that Tony had raved about. Make a mess then jump into the waves and clean yourself off. The eye candy wasn’t so bad either. 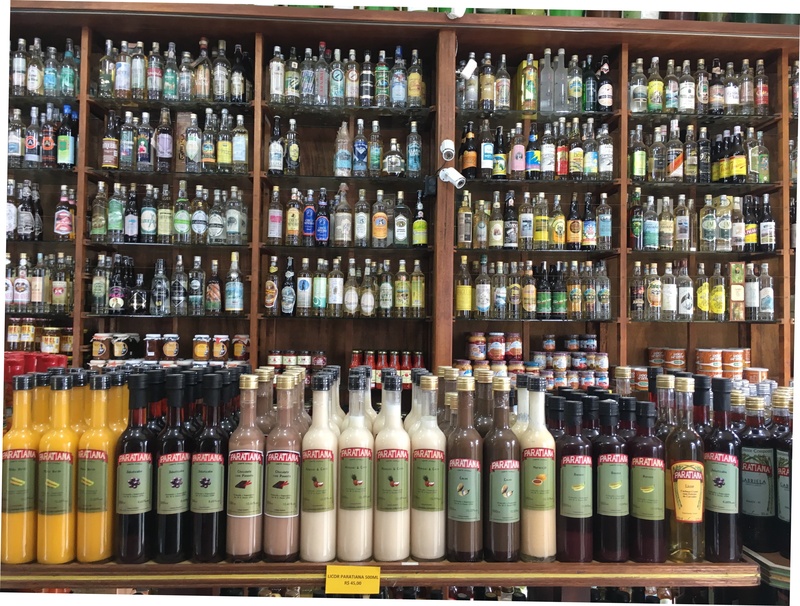 It would be remiss of me to profile Brazilian gastronomy without mentioning the country’s national spirit – cachaça. 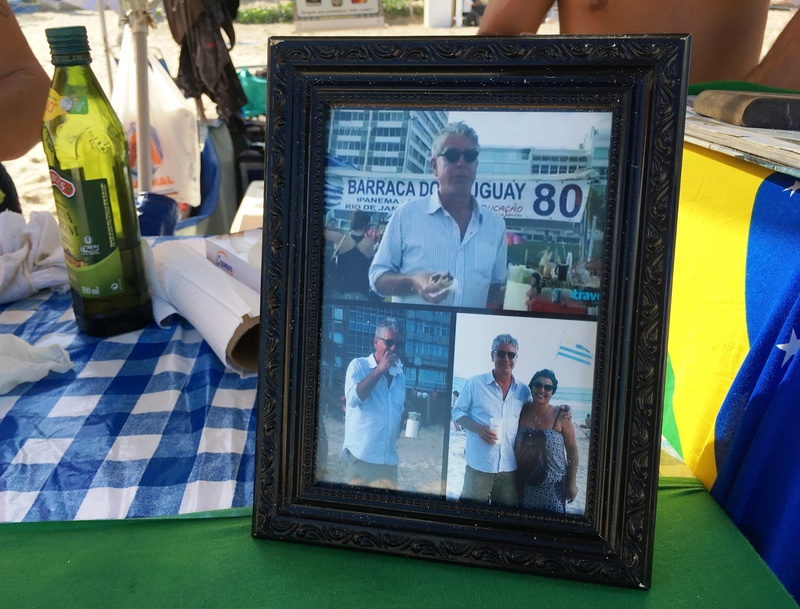 This fermented sugar cane juice, which Brazil owns the copyright to, is the most popular distilled alcoholic drink in Brazil and really comes alive when made into a caipirinha. There is actually a law which states that a caipirinha can only be called a caipirinha if it’s made with cachaça, lime and sugar. So all the delectable pimped up versions I was trying with exotic fruits like jabuchicaba and caju were technically illegal. 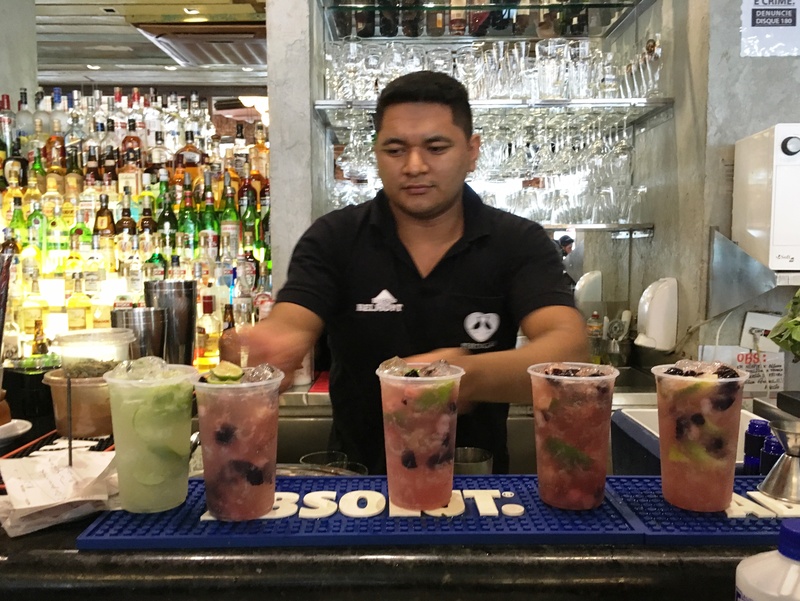 Paraty is Brazil’s capital of cachaça so I had lots of fun trying variations and flavours – it’s certainly a versatile spirit. I didn’t quite crack all 5,000 brands while I was there but I gave it a good shot.